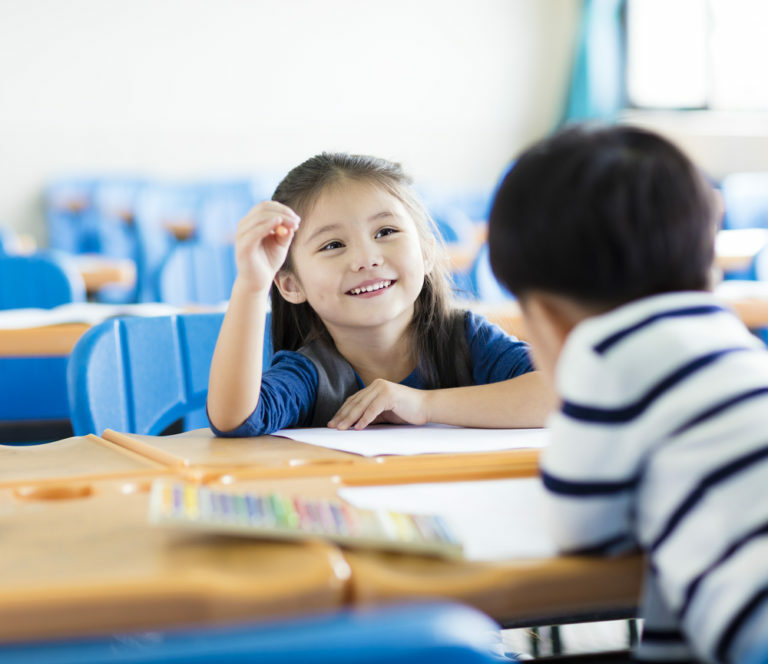 The story of Three Little Pigs is not only a staple in the lives of most children, but it’s also the perfect STEAM lesson plan for elementary school students. In this STEAM lesson, students will work in three teams to build houses that will (hopefully) withstand the huff and the puff of the big bad wolf. This lesson will take approximately one 45-60 minute class period to complete. Small desk fan to serve as the big, bad wolf (preferably decorated appropriately). If you’d like to turn your box fan into a big, bad wolf, feel free to draw or print a cartoon photo of a wolf and place on top of the fan. If you have a wolf mask handy, you could use that, too. Divide the materials into three groups so students can easily pick up exactly what their team needs for the challenge. Read The Three Little Pigs out loud to your class. After reading, ask students what they think is needed to build a strong house. Consider linking this to different weather conditions–what would you need if you live in a windy climate? A hot climate? A snowy and cold climate? Your house must be built on the provided foundation (must be at the bottom of the house) and using the roof (must be at the top of the house) provided. You can only use the materials provided to your team. Everyone must work together and all ideas need to be considered. You only have 20 minutes to build your house and have it tested. 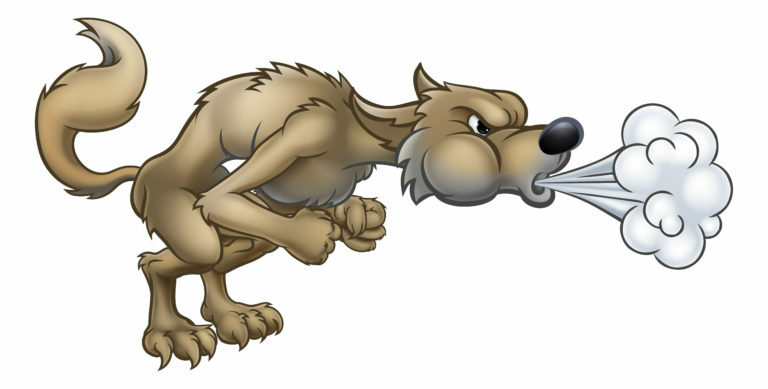 Show students the “Big, Bad Wolf” so they know the force of the wind (huffing and puffing). Note: You can extend this challenge by using a fan with different levels (high, medium, low) and students that pass the “low” fan can move to medium and then high, etc. You can also move the fan to pre-determined locations measuring from further to closer to the house. Encourage students to draw or sketch their ideas before building. After 20 minutes, students must bring their house to the “testing zone.” Note: their house can face any direction, but the wind must always come from the same place. If the house is still standing after 20 seconds, success! What material worked the best? Why do you think some materials were more effective than others? Was your house able to withstand the huffing and puffing of the big bad wolf? How could you improve your design? Extension: What are all of the different jobs that are needed in order to build a house (make a list on the whiteboard)? How many of these jobs require an understanding of science, technology, engineering, and/or math (place a star next to these jobs)?